Well now this was a ride. 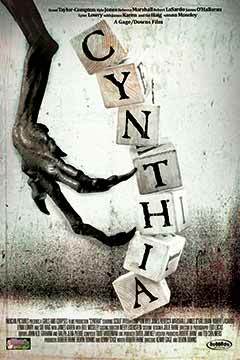 Cynthia is well....fun, campy, witty and disgusting, just how I like my gorefest horror movies. Robin really wants a baby but Michael is worried about the cost and is more of a if it happens it happens kind of guy. He cannot just perform. It is hard work trying to get pregnant and we see that in a montage of Michael giving Robin shots, Robin sitting on the toilet checking the pregnancy test and all the frustration that goes along with it. 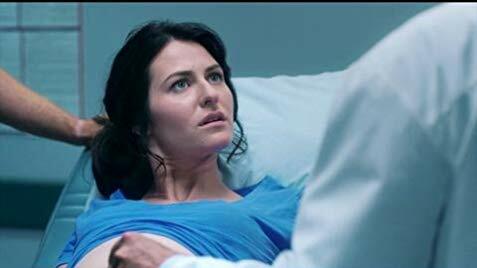 The doctor thinks for a nano second that Cynthia is having twins and before that can even sink into Robin and Michael's brain he is taking that back telling them she needs a biopsy because she has a fibroid cyst. I am not in the medical field but I am concerned and questioning this medical professional's credentials. He is going to perform a biopsy on a woman who has been trying to get pregnant for 3 years with a chance of miscarriage. There is so much going on in this movie that now that I want to write about it 3 days after seeing it I find myself all over the place and think it could take me 3 days to write this review. Cynthia had me laughing out loud. Cynthia is a...well...she is a baby...no she is so much more. She is a big beautiful blue-eye'd, one legged, smelly, adorable baby that only a mother could love but I love her. She is totally misunderstood. We all deserve to be loved and thankfully Cynthia's mom loves her and will do anything for her. There are a few laugh out loud moments including my favorite quote of the movie "Neil Patrick Harris gay." You should see this movie if you are into campy horror movies especially Indie movies. 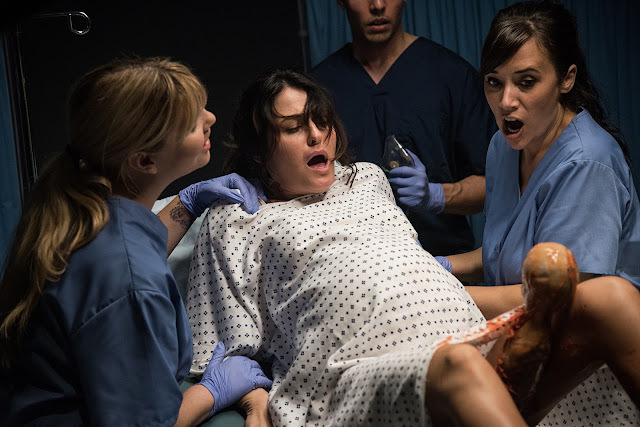 You should see this movie if you are NOT pregnant and You should see this movie if you are into "Monster" movies. 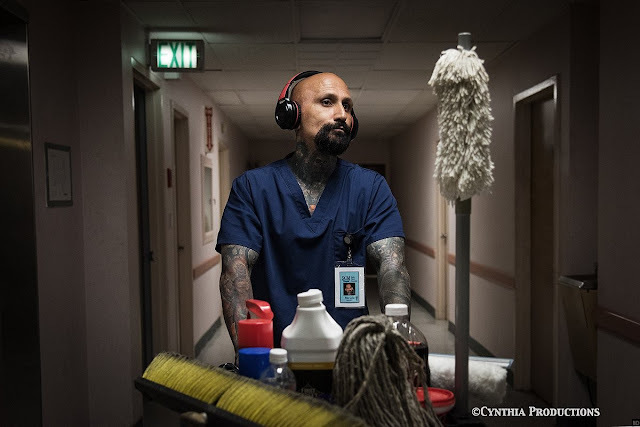 Breakaway character for me is a custodian named Pete played by Robert LaSardo who I know from General Hospital. He is the best! Disclaimer: I received a complimentary screener for my honest opinion. All opinions are my own. No monetary compensation was offered. Sounds like an interesting movie! Think I'll watch it!